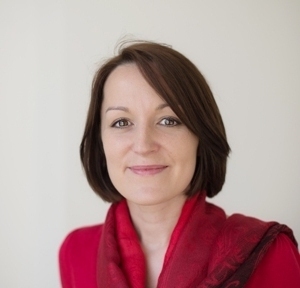 Sarah O’Malley is an experienced EFT (Emotional Freedom Technique) practitioner, supporting her clients to release troubling emotions, memories and physical symptoms to feel a greater sense of lightness and clarity in the present. EFT brings together traditional Eastern energy-based approaches with Western talk therapy to transform issues at both a cognitive and physical level. It involves stimulating acupressure points whilst discussing the issue being worked on until a shift is noticed. Sarah has over ten years’ experience in EFT, together with a broader therapeutic skillset, which she brings to sessions to tailor them to each person and issue presented. She is accredited and certified by AAMET and fully insured by Balens. Her approach has been described as gentle, engaging and insightful. Sarah meets clients in person at the beautiful Tree of Life Centre in Hove, East Sussex, and internationally via her confidential online consulting room (ww.appear.in). Sarah is an experienced Emotional Freedom Technique practitioner in Brighton and Hove in the UK. She also runs international sessions via www.appear.in. She is a professional member of AAMET and fully insured with Balens. EFT works to release unwanted emotions and troubling physical symptoms. These include feelings of confusion, stress or anxiety, pain or discomfort, weight issues and food cravings.